This site can best be described as a perfect complement to traditional economics education. Think of ecoNomNomnomics as a fusion of an introduction to economic principles and lolcats. If you have not been introduced to lolcats yet, you may not fully appreciate the joke. We believe that economics is both fascinating and important to understand, and we really like webcomics. May I Reprint Your Material? If you use this material in a classroom setting, email joy@economnomnomics.com and tell us about your experience. Who started all of this? This theme is being turned into a serious of blogs, for example on supply. 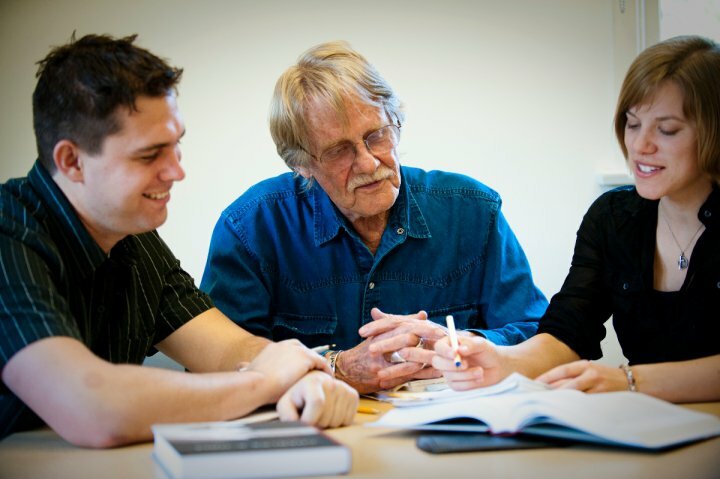 This is a picture of me at Chapman with Nobel Laureate Vernon Smith. The Economic Science Institute program offers personal attention to students and freedom to pursue what interests you about economics.